You’ve probably heard of Ryan Adams. The prolific songwriter returns for a new album with his band, The Cardinals. 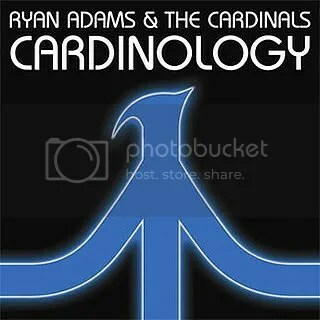 This will be their third official album together, though The Cardinals also played on Ryan’s 2007 solo album, Easy Tiger, and an EP, Follow The Lights, in addition to their work on the full-length albums Cold Roses and Jacksonville City Nights. I know a lot of people that love to hate Ryan Adams, but I found this album to be a very enjoyable listen. For the most part, it is laid-back alt-country, though there is some rock thrown into the mix at points as well (example: the track “Magick”). It’s very polished, but very listenable. This entry was posted on October 24, 2008 at 12:00 pm and filed under TheSlacker. You can follow any responses to this entry through the RSS feed.